We’ve all flown with budget airlines. We all gripe about them too. Cheap and sometimes not so cheerful. Cheap because they cut back on the creature comforts. You get a seat and that’s it – everything else you have to pay for. But this doesn’t mean your experience as a customer has to be cut-price. South African airline Kulula is trying to shake all that up. And they’re doing it using tone of voice. 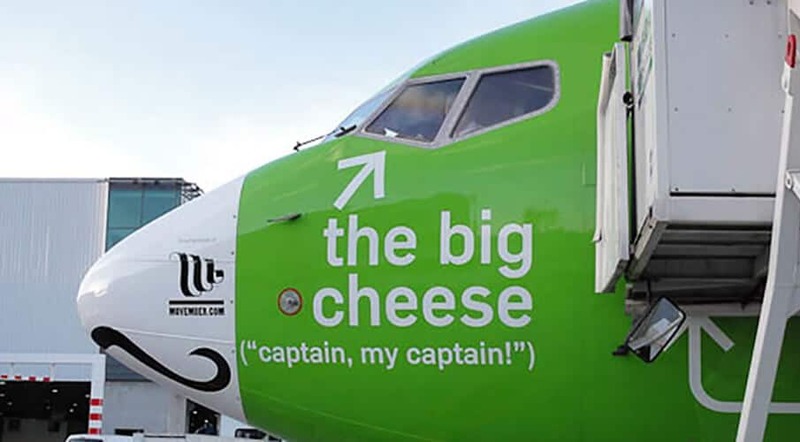 We got a viral email a while back with photos of one of Kulula’s planes. Apart from the bright cheery green livery, it looks like someone’s gone and scribbled all over it. One of them really does have ‘the big cheese’ underneath the captain. And it really does say ‘black box, which is actually orange’ (check out Flying 101). Apparently they also have a ‘cow’ plane, a ‘camo’ plane and ‘the jetsetter‘ plane. Kulula translates as ‘it’s easy’ in Zulu. It’s certainly not hard to warm to their brand tone of voice. Kulula’s playfulness extends in flight as well. ‘There may be 50 ways to leave your lover, but there are only 4 ways out of this airplane’ – just one of the many humorous takes on the pre-flight safety routine by the flight attendants. I’ve never travelled with Kulula. And I don’t know if they offer better value than other South African carriers. But I do know that this just goes to show you don’t need huge ad campaigns and a massive marketing budget to get your brand talked about and liked. Sometimes all you need are some well-placed words and a sense of humour. Have you heard any memorable in-flight announcements? A twist on the ‘in the event of an in-flight emergency, pull firmly on the buckle…’ monotone drone? Thanks for your comment Mark, I can see that. And it just goes to show how hard humour is for a business to pull off, doesn’t it?